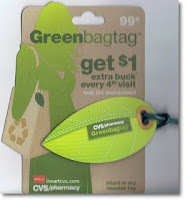 Donate $15 to Greenpeace and Receive $15 in Groupon Credit! Whether you loved or hated the Groupon commercials during Superbowl XLV, you should check out this amazing pay it forward concept. Right now at Groupon you can donate $15 to Greenpeace and you'll get a matching $15 in Groupon Bucks. You must register your donation by June 30, and the Groupon Bucks will be usable after April 15th. 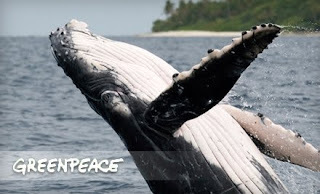 Your essentially free donation will go to help end commercial whaling. 50% Off Food at Select Gilmore Collection Restaurants TODAY! If Football isn't your thing then you might want to check out Gilmore's Annual Super Sunday where you can score with 50% OFF FOOD! Valid Super Bowl Sunday after 5pm Only! 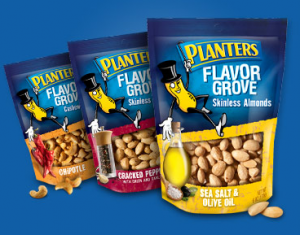 FREE Planters Flavor Grove Almonds at 6 p.m. EST! Head over and like Mr. Peanut on Facebook because starting at 6PM EST on February 6th to get Free Planters Flavor Grove Almonds coupon. Restaurant.com - 70% Off + FREE $10 ProFlowers Gift! I love it when Restaurant.com drops their prices! Right now Restaurant.com is offering 70% off of $25 Gift Certificates when you use code HEART. This means you pay only $3! PLUS you'll receive a $10 Gift Certificate to ProFlowers with your purchase! HURRY -- offer ends February 7th. Target has new mobile coupons out. These are valid through February 18th. All are a limit of one item or offer per coupon. 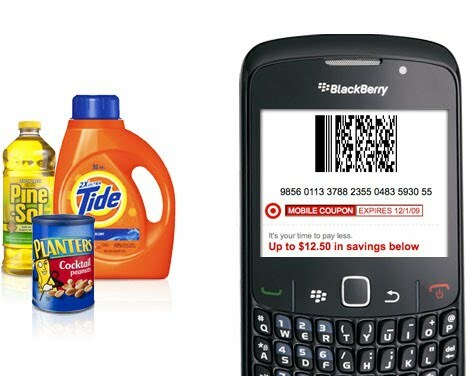 They cannot be used in combination with any other Target store coupons. They can be used with manufacturer’s coupons. $2.00 off Papa Murphy's Pizza! If you're planning on heading to a Papa Murphy's for game time eats, make sure you take this $2.00 off printable coupon with you. Food always tastes a little better when you get a good deal on it! *HOT* 20% Off JC Penney Printable! Here is a rare printable that you will definitely want if you're heading to JC Penney! Today February 6th and tomorrow February 7th take this 20% Off Printable with you. See coupon for sale details. 45% Off One Item at Michael's - TODAY ONLY! Click here to print a coupon for 45% off one item! This is good TODAY only at Michael's!